When you need inductors with the highest available Q factor, the place to find them is our Highest Q Finder Tool. It searches our entire lineup of RF chip and air core inductors to find the parts with the highest Q at your desired inductance and operating frequency. order Free Evaluation Samples. Click here to get started! 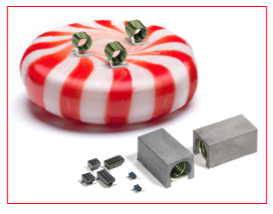 Also be sure check out our complete line of high Q, tight tolerance Air Core Inductors! Click here to learn more and order Free Samples!